Though American Idol ended last year, many, many artists have been grateful for the singing competition. It was because of American Idol that many artists succeeded in their careers, in both the Christian and the mainstream pop industries, from artists like Mandisa, Phil Stacey, Chris Sligh, Carrie Underwood and Colton Dixon, to Philip Phillips, Scotty McCreery, Kris Allen, Jason Castro, Daughtry, Katharine McPhee and Jordin Sparks. Now fast forward to 2017, and we see another American Idol alumni, Danny Gokey, release his new album Rise on January 13th 2017, his 3rd overall and his 2nd directed towards the Christian music industry. Coming into his own with the release of his successful album Hope in Front of Me, Danny’s next album release Rise slated to drop on January 13th is something to be excited about, for anyone who loves CCM, like myself. In fact, dare I say that even if we haven’t really heard much of the new album prior to release date, the kudos that Danny has received from songs like “Tell Your Heart to Beat Again” and “Hope in Front of Me” should speak for itself? This is project that has been a while in the making (his previous project released in June 2014), but sometimes albums that take a little longer to create can be some of the most enjoyable and poignant albums to hear in that particular given year (albums from 1GN and Love and the Outcome last year were some of the best in 2016, despite those two bands previously releasing material in 2013 prior to their sophomore releases). Danny released one country/pop album My Best Days in 2010 before he had a career revival of sorts- in 2014 Hope in Front of Me released to critical and commercial acclaim. And while it is always sad to see anyone go through what Danny did (his first wife Sophia died just weeks prior to his American Idol audition), we see an artist and man that has arisen from such tragedy with poise and grace. Hope in Front of Me is a career defining album for Danny I reckon, and with his new single, the title track, based off his recent experiences with panic attacks, it appears that Danny’s new album is just as poignant and emotive as his previous offering! And if the three singles (‘Rise’ and the two promotional ones) are of any indication, this album will be by far Danny’s most vulnerable and heartfelt yet of his career. Danny’s music ought to be listened to by anyone who isn’t looking for just some feel-good music. If that is all you’re after, listen to something else like One Direction or Katy Perry. 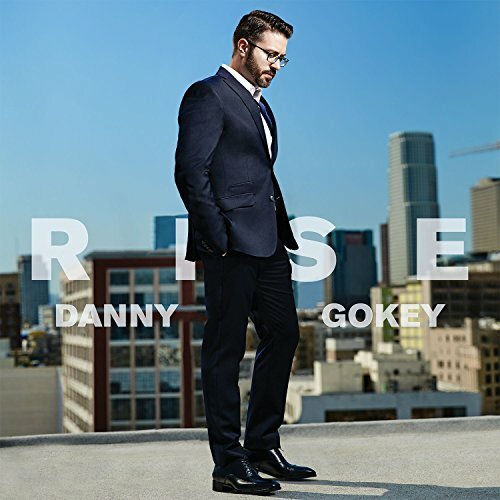 Danny Gokey’s music is deep, and that is no different to the songs on Rise that I have heard. From the ballad anthem “Rise” that encourages us all to rise up from the ashes of life, to a pop goodness track in “If You Ain’t in It”, a song that reminds us all that if we don’t have God, we haven’t accomplished anything, and the gospel tinged ‘Better than I Found It’ with gospel singer Kierra Sheard; Danny’s music is nevertheless for anyone who wants a challenge, spiritually, as Rise quietly becomes one of favourites in 2017 thus far! Released to radio mid last year, the title track from the album is Danny’s first radio single from it, and while the song can seem cliché in terms of theme (many other songs over the years have spoken about rising from adversity and difficulties- with artists like Michael W. Smith, Kari Jobe, Colton Dixon, Shawn McDonald and Skillet all writing songs throughout their career that speak about rising from difficulties- and all of them aptly titled ‘Rise’ as well! ); Danny has nevertheless delivered a powerful song that, despite its seemingly generic song title, is anything but. “Rise” is a song of motivation, of hope and comfort, and a song that can easily be played on mainstream radio and be a crossover success from Danny in the future. While the song doesn’t speak anything about Christ, it does however urge us all to take a think, about where we are and see if there are any issues that we need to rise above- and frankly, by ourselves we can’t rise above anything at all. It is only with Christ’s help that we can in fact rise above whatever we’re faced with. While first and foremost this song was Danny’s attempt at drawing in a type of listener who may not have heard Christian music much before, “Rise” is a track that is as inspirational as it is encouraging, especially when we know that the song was personally drawn from Danny’s own experiences of rising above his panic attacks that he had not too long ago. “Masterpiece”, “Stronger Than We Think”, “If You Ain’t In It” and the album closer “Better Than I Found It” (if you discount the remix of “Stronger Than We Think”)- alongside the title track, are some of my personal highlights from Rise– and while I know that many other listeners of this album may pick other songs as highlights, these are mine. “Masterpiece” is a song that could potentially be radio single #2, as this anthemic pop song presents a theme of God making within us something that only can be described as a masterpiece, even if during that moment of operation, we can’t see what the Lord is doing. Poetic and poignant, emotive and encouraging, Danny delivers a powerful moment in the chorus, where we all realise that often God can take ‘…me all apart like it was Your plan from the start, to finish Your work of art for all to see, You’re making a masterpiece…’, where we realise that God the creative artist is constantly weaving together moments in our lives to fit into a unique and powerful tapestry that affects not only ourselves but everyone that we are in communion with each day, with others hopefully knowing of the hope inside us, even just by being around us initially. “Stronger Than We Think” throws back musically to 1980s dance club music, as Danny uses vocal echoes and electronic keyboards to present a different and powerful way to begin Rise. Using unique moments of rhyme, Danny encourages us that we are indeed stronger than we believe we are at a certain moment- that when the devil tries to discourage us, all we need to do is to look within, knowing that if we are made in His image, and with His spirit within us, we can and will do much more than He ever did when He was on earth all those years ago! “Stronger Than We Think” also boasts a remix, and while I myself prefer the original (the remix version can be a little less vocally distorted in my opinion- the effects can at times distract from my enjoyment of the track), there may be at least one person that enjoys the remix version- and kudos to them! “If You Ain’t In It” and “Better Than I Found It” are some of the most encouraging songs I’ve heard from Danny period, and both are different stylistically, and gladly welcomed under the track list umbrella of Rise! “If You Ain’t In It” is an electronically synth directed pop track that invites us all to ponder the thought- that would we continue to try to achieve our goals if the Lord wasn’t in the tasks we’ve undertaken in the first place? Something for us to ponder, Danny gives us contemplation once again in #11 “Better Than I Found It”, a piano prominent ballad featuring gospel singer Kierra Sheard. And while the song can seem at face value a little more mainstream than it needed to be (‘…I just want to be a light…we can leave it better than we found it…’– cliché universalistic lyrics anyone? ), the song nevertheless can be used as a tool for us to think about today’s issues, as we ponder the issue at heart- how can we leave the world better than we found it? Whether it is a mainstream song or a Christian one isn’t necessarily the matter, and if the track can at least bring listeners together to this thought of leaving a legacy and a mark during life on earth, then I’m sure God can do the rest and encourage people’s hearts as they move from the here and now towards the eternal! Throughout the rest of the album, Danny delivers musically diverse songs that are sure to impact the listener in different ways as Rise becomes quite possibly one of the most musically diverse albums I’ve heard since Colton Dixon’s Anchor way back in 2014. “Never Be The Same” is a mish-mash of genres, from African Congo music to keyboard synth and dance, and for the most part, the genre works, as Danny points out to us all that he will never be the same since the Lord impacted his life all the years ago; while “Chasing” is a piano ballad featuring fellow American Idol alumni Jordin Sparks on guest vocals, with the song taking us on a journey of re-discovery of God’s endless pursuit of us even if we may not pursue God in that very moment- He is chasing us even if we are not chasing Him. “Symptoms” feels like it is straight from the 1980s or 1990s, and is reminiscent of something old school Newsboys or even Avalon or Carman could have recorded back in the day- a song about God’s love that is contagious, and how we live our lives are just symptoms of the love that has overtaken us from the inside out. Danny also delivers “Slow Down” and “The Comeback”, unique tracks if you were to just hear it for musical diversity (“Slow Down” offers up R&B, while “The Comeback” presents to us some dance/disco music), all the while having a great message in both songs- “Slow Down” provides us an avenue to take stock and to rid ourselves of the pressures of life that bog us down, while “The Comeback” provides us hope to hopeless situations, that it is never too late for a comeback- in a similar way to how sportsmen throughout their careers always make comebacks due to injury and other personal setbacks. “What Love Can Do” is the remaining gospel inspired track (other than “Better Than I Found It”) and is sort of like a ‘Love Will Take You Places’ Part 2, an inspirational track about love in all its facets, about love for the Father, love for our earthly father and mother, and love for our neighbour, that shows people around us the love of God within us and working through us. Well done Danny for “What Love Can Do”, a song that could also be a crossover success alongside the title track! ‘…suffering and hardship, I think we look at it wrong in this day in age. In our culture, I feel like everyone just wants the good life, the dream life, but I’m learning to embrace suffering because with suffering there’s so much good that comes out of it. Now do I want to go through hard things? I don’t, but there comes to a point in your life where you don’t fear it, you trust God. Trusting in God is important. He knows what is best. I didn’t want to walk through the loss of my spouse, but I did and I had to, and so many people’s lives have been impacted from that one story, from American Idol all the way to here where I am today. God does restore. God does heal and life does go on beyond the pain and the suffering, and actually God can make you better from what you went through than had you not went through it at all…’ Danny’s new album has something for everyone, literally. This is by far one of CCM’s most musically diverse album I’ve heard since…well since a long time. Fans of CCM and Hope in Front of Me will enjoy Rise, but beyond that…I don’t know. Only time will tell. Danny is certainly passionate and enthusiastic, and while at times I felt some songs were over-produced, overall this album is different compared to his 2014 project…which is a good thing. Sometimes artists can be bogged down in the same style (Casting Crowns anyone? ), yet Danny’s new album indicates none of the sort. A well-received album that has been at #1 on the Billboard Top Christian Albums charts this last week, Danny, with the impact of “Rise” the song, will hopefully translate into a wonderful impact of Rise, the album. Well done Danny for such a powerful album, and one that’ll be on my iTunes playlist for a while yet!